For what it’s worth, I don’t describe my work as horror—not because I don’t have great affection for much of what the genre encompasses, but because, to quote Robert Frost, “Something there is that doesn’t love a wall.” When I sit down to write, I honour no fences, cordons, or boundaries of any kind. I want complete and total freedom to wander off into uncharted, unconfined, non-commercial oblivion, never to be read or heard from again. Some call the result horror, others dark fantasy, others self-indulgence. If the last of these is true (and I suspect it probably is), we might as well settle for horror, since I am by far the scariest thing I know—which brings us full circle, back to the original question, the answer to which is evidently (if ungrammatically) Me. 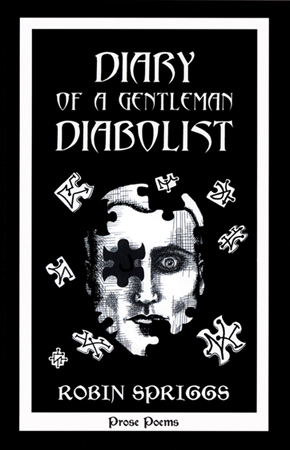 My latest book, Diary of a Gentleman Diabolist, has received the most official acclaim—award nominations, commendatory reviews, etc.—but Wondrous Strange: Tales of the Uncanny has garnered its share of enthusiastic attention as well. Readers with a penchant for novelettes, short stories, and short shorts (and who doesn’t enjoy a nice pair of short shorts on a fundament of the right shape and size?) will likely be happier with Strange, but those on the hunt for something a bit more dangerous and considerably harder to classify should take a chance on the Diary. Both books are highways to hell, of course, so you can’t go right either way. I’m currently neck deep—if not altogether over my head—in The Untold Tales of Ozman Droom, which, like its titular hero, is a difficult thing to describe. According to the aforementioned Me (a classically unreliable narrator), it’s a collection of stories and poems about a collection of stories and poems that, like its author (whether Ozman Droom or myself), may or may not exist. 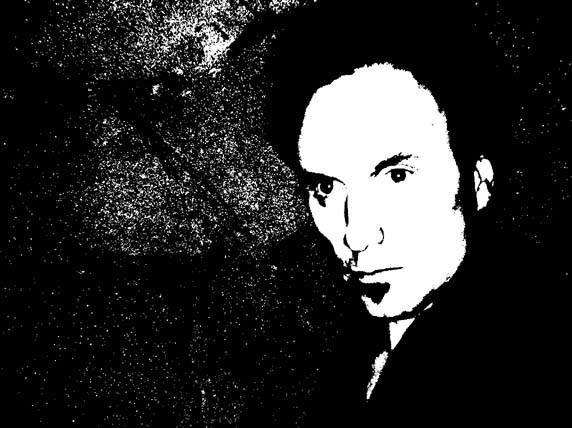 That said, one reader of an early and extremely rough draft described it as “a novella masquerading as a monograph masquerading as a memoir masquerading as a short story collection.” Whatever the case, the little abomination is due to be released by Double Feature Press sometime this year or next. I admire artists who don’t necessarily set out to present something horrific, but rather to brave the depths of their own personal underworld and, in the process, end up bringing forth something either terribly beautiful or beautifully terrible. I could cite a great many historical personages who seem to me—whether knowingly or not—to have been engaged in this particular form of alchemy, but would rather name a few who remain among the living: Jeremy Reed, Alejandro Jodorowsky, Odd Nerdrum, Cirenaica Moreira, Joyce Carol Oates, Guy Maddin, Manuel Göttsching, Joseph S. Pulver Sr., The Brothers Quay, The Brothers Thomas (Jeffrey and Scott), Amon Düül II, Jacek Yerka, Werner Herzog, Corrine De Winter, Brian Eno, Catherynne M. Valente, M. John Harrison, Paul Schattel, Kristamas Klousch, Morrissey , Quentin S. Crisp, Milford Thomas, Thomas Ligotti, Klaus Schulze, David Lynch, Taeko Kono, Kelly Link, Roman Polanski, H. R. Giger, Guillermo del Toro, Michael Cisco, Ray Caesar, Ramsey Campbell, Crispin Glover, and Hank Williams III. Most people shouldn’t. I’m searching for secret doors, hidden passages, knocking around in the crawl spaces of inner and outer space, waking sleeping daemons and calling them out to play. Some play nice, but a great many don’t. I make no promises and provide no insurance. Caveat lector. Sanatorium Under the Sign of the Hourglass by Bruno Schulz. Wonderful interview. Robin is one of our very best magicians! ! !